Who, indeed. And well you might ask. In the musical universe, there are cult artists and there are CULT artists. The general public (muggles) don’t know Big Star or Nick Drake, but any average music geek will recognize both due to their albums being reissued and written about extensively in the 90’s and beyond. Both experienced a renaissance which expanded their tiny audience into a slightly larger audience and the two are now common reference points. Prior to that rebirth, however, their music spread mostly by word of mouth, like a wonderful secret, a gift you wanted to share with your friends. 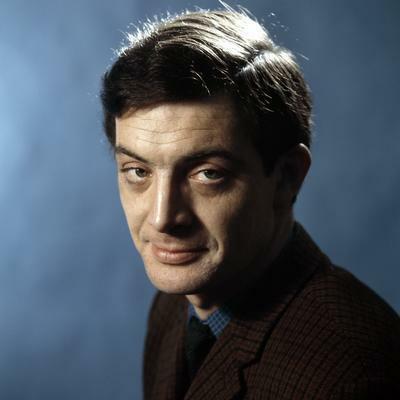 Jake Thackray remains a wonderful secret. If you know Thackray at all, it’s likely you reside in the UK and you’re of, shall we say, an older persuasion. He appeared hundreds of times on BBC TV and radio from the late 60’s through the early 80’s, but his records remain largely unknown to all but a devoted following who appreciate a Yorkshire accent, an earthy and sardonic sense of humor, and a good story. Unlike his contemporaries, Thackray did not pick up a guitar at a young age with dreams of emulating the rock & roll and pop stars of the day. He was a teacher for several years before suddenly deciding at the age of 26 that he wanted to learn how to play the guitar. Finding the actual learning part a bit boring, he composed little songs to accompany the chord exercises and then performed these ditties for his students. This led to appearances in folk clubs and on local radio before being discovered by one of the biggest producers in the UK, who signed him to a recording contract with EMI. Thackray soon found himself in the studio at Abbey Road, alternating session time with The Beatles and Pink Floyd. Although he’s often thrown into the folk category, Thackray’s style shares more DNA with the French chansons of Georges Brassens and Jacques Brel. His lyrics, however, are decidedly British, filled with colloquialisms and references to pubs, Robert Walpole, budgerigars, and village life, all sung with his distinctive accent. 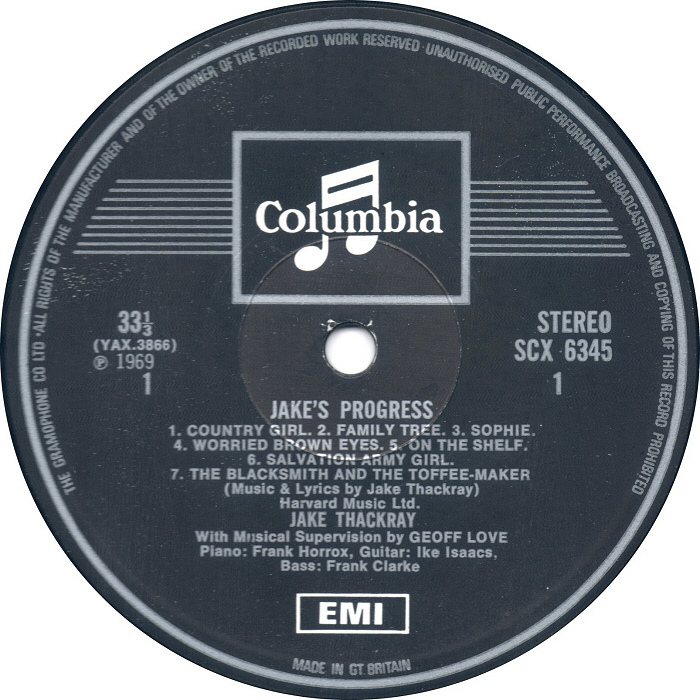 While his 1967 debut album featured orchestral arrangements on many of the songs, 1969’s Jake’s Progress pared the musical backing down to a chanson-folk-jazz combo. The second track, “Family Tree,” details Thackray’s (supposed) geneaology — one thing you should never do is trust anything he sings to be true — filled with colorful, and less than auspicious, ancestors. So here’s a secret I don’t want you to keep: the warm, wicked, witty and wonderful world … of Jake Thackray. As long as we’re visiting Jake, I might as well share one of my favorite songs which unfortunately doesn’t appear on any of his four studio albums. Although known primarily for his humor, he could do serious and heartfelt, too. Oh, you’re still here? Then let’s have one more from his live television series in the early 80’s.